When you need superior flavor and the average just won't do find perfection in what vape cooler has for you. A mix of rich fruit flavors that both sweeten life as well as your mood, let the vape rip and deliver this bevy of fruits. 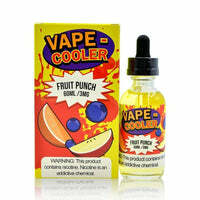 Fruit Punch - Vape Cooler has a rating of 4.1 stars based on 30 reviews.